Color is the single most important style element in home decor. It sets the tone and mood of a room setting. Nothing else reflects your personality more than color. 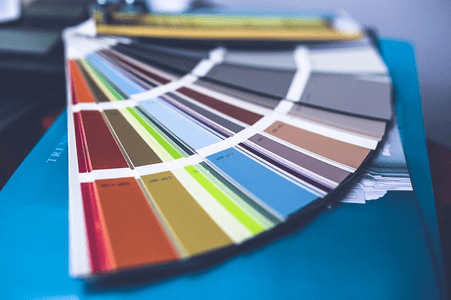 If you don�t know your color preferences, look through home and garden decorating magazines and clip the photos that you admire. Visit model homes and attend home and garden tours for decorating inspiration. These exercises give you experience in identifying your likes and dislikes in home d�cor. A pattern will soon emerge. After you�ve done some self-analysis or if you already know your color choices, an easy one-stop exercise is to visit a major department store or carpet gallery and pick out area rugs that appeal to you. If you have a room you are decorating from the ground up, this is a good place to start your purchasing also, since the floor is one of the most noticeable features in a room. Even if you have wall-to-wall carpeting, an area rug will help define the living space within the room and act as a focal point. The rug will become your �inspiration piece� around which your whole decorating scheme will evolve. The main background color of the rug would become the predominant color in your decorating scheme. You can pick out secondary colors in the rug and duplicate them in your accessories. You are in essence, copying your color scheme from an expert without hiring a decorator�cutting out the middleman, so to speak. And look closely at the rug: most employ a variety of patterns and colors lifted straight from nature, a feature that will give your rug timeless appeal. If you choose a rug that is not nature-based, chances are it is too stylized and will quickly become out of date or tiresome. I recommend painting the walls a neutral color. This forms a restful backdrop for your colorful accessories and allows them to shine. Pick a neutral color from the rug you have chosen: a tan, mocha, gold, cream, gray, butterscotch or taupe. Use a tint (key color with white added), tone (key color with gray added) or shade (key color with black added) of this key color to use on the wall. If you pick a medium tone, you will have a neutral wall color that is far from boring�neither too light nor too dark. You may elect to keep the ceiling white to reflect more light or try tinting white ceiling paint with one cup of the wall color. Paint color will darken as it dries, so keep this in mind when tinting your ceiling paint. Next time we�ll talk about adding color through the use of accessories. I first heard the phrase �inspiration piece� from decorator Sharon Blue. Choosing one particularly beloved piece and decorating around it is of immense help for both the professional and amateur alike.